SourceOne is one of Northeast Indiana’s largest locally-owned and operated insurance agencies, and we pride ourselves on being headquartered in Fort Wayne. We understand the issues facing businesses in Northern Indiana and our objective is to institute a sound insurance program today that will reduce your long term costs and exposure to risk. Over the years, we have been able to track decreases with our clients’ insurance costs and as a result, have watched their company’s profitability soar. Because each business is unique, we tailor an insurance program to address your unique situation, knowing that companies change over time. 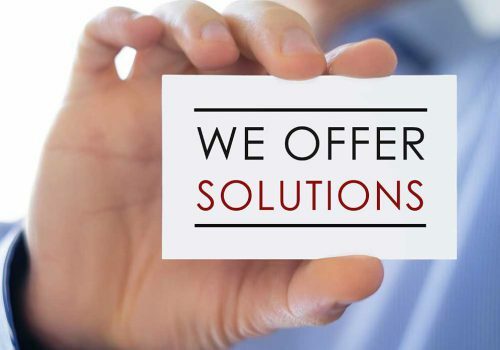 Therefore, we have come up with solutions based on your size and market needs. To help you with your program, we have an insurance attorney on staff who coordinates with outside counsel to make sure that claim issues are resolved in a timely manner, and who stays abreast of emerging areas of litigation. Our Commercial Lines team is available to assist you on a daily basis and consists of insurance professionals who have a combined 75 years of experience; this long-term experience has given us the opportunity to form solid relationships with the companies we represent. By partnering with SourceOne, you can rest easy knowing that we bring integrity to every step of the process, and that we will place you with the carrier that best fits your insurance needs.